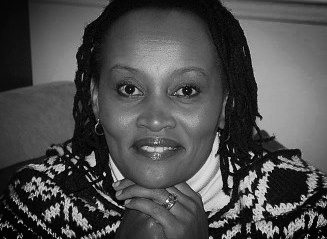 Njeri Rionge is one of Africa’s leading entrepreneurs and one of the very few women pioneers in the ICT sector on the African continent. She co-founded internet service provider Wananchi Online that has since been transformed into Wananchi Group Holdings – one of east Africa’s leading providers of pay-tv, broadband internet and VoIP services. Last year the company raised US$57.5 million in growth capital from a group of international investors. - Njeri Rionge is one of Africa’s leading entrepreneurs and one of the very few women pioneers in the ICT sector on the African continent. She has co-founded internet service provider Wananchi Online, Ignite Consulting, Insite Limited, Business Lounge, and Njeri Rionge Business Consulting Inc. These days Njeri describes herself as a global citizen cross-pollinating her business interests in Africa, North America and Europe. She 'telecommutes' and regularly travels between her offices in Nairobi and Toronto. 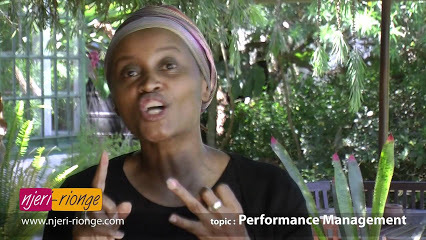 - Njeri Rionge is one of Kenya’s most successful and revered serial entrepreneurs. She co-founded Wananchi Online, a leading Internet service provider which has gone on to become East Africa’s leading cable, broadband and IP (Internet-based) phone company. Njeri Rionge was a hairdresser with an entrepreneurial streak. She dared to trust her instincts and in doing so helped bring low cost internet to East Africa, and built its biggest internet service provider. In the video below Njeri is featured in Cadillac's 'We Dare Greatly' series - celebrating daring changemakers, whose passion and vision have reshaped their industries, our lives and our future. She discusses what it means to #DareGreatly and how to empower daring entrepreneurialism in Africa. Njeri Rionge talks about how she we went from humble beginnings as a hairdresser to co-founding a leading Internet Service Provider, Wananchi Online. This celebrated Kenyan serial entrepreneur talks about how she grew this startup to become East Africa's leading cable, broadband and internet-based phone company. She also talks about how she's moved on to found new ventures such as Ingnite Consulting. All said and done, Njeri says she has just got started and is looking to scale even more heights as a successful woman entrepreneur. A true inspiration for all African women wanting to make their way in business. The MIT Africa Innovate Conference is an intimate showcase of the latest ideas and innovations in entrepreneurship, finance, healthcare, energy and education. In addition to our panels, our esteemed Keynotes reflect on how they have made their contribution to the continents development. Njeri Rionge discusses how she set about finding a niche for her business ventures and has followed her passion for creating new ventures. She shares the inspiring story of how she set about becoming one of Kenya's most celebrated serial entrepreneurs. She talks about how she has actualised her entrepreneurial dreams and visions through hard work, planning and focus. This female rule-breaker has bravely succeeded in breaking through the glass ceiling typically associated with the tech industry in Africa. She is a true Lioness of African business! "Success for me is defined by increased value – not simply financial rewards. I think it is important to focus on the growth of African businesses and leaving a legacy rather than just trading in the moment for short term financial gain." "Africa is the next economic frontier. There is a huge opportunity ahead for family business and for existing businesses that have been around a long time. Let’s create a work culture; let’s have integrity in our processes; let’s be passionate about doing it right the first time; and Africa will enjoy the fruits of our labour." Njeri Rionge has established a special awards programme and summit for Kenya’s budding entrepreneurs - the Ignite Scaling Your Business Upwards. The new Awards and Summit offer local SMEs and upcoming entrepreneurs the opportunity to network with their peers and industry leaders, and to learn how to expand and grow their companies. The Ignite Scaling Your Business Upwards Summit will be held on 18-19 September 2012 at The Junction Mall, Nairobi.